Washington vows to publish soon a new plan for the Israeli-Palestinian settlement, which has been dubbed the "deal of the century." Kommersant writes that this plan may be discussed at the Helsinki summit in mid-July between Russian President Vladimir Putin and his US counterpart Donald Trump. 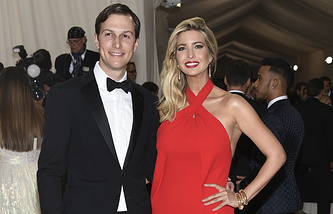 According to Trump’s Senior Adviser and son-in-law Jared Kushner, who is leading the US government’s effort to broker a Middle East peace deal, the White House's plan will be unveiled depending on whether Palestinian President Mahmoud Abbas and the Palestinian authorities back it. In return for the peace deal, the region is expected to get economic advantages and the radical organization, Hamas, may stay in power in the Gaza Strip. According to some reports, Washington may finance some projects in exchange for the disarmament of Hamas. Meanwhile, member of Hamas Political Bureau Musa Abu Marzouq told the paper that his allies are against the deal in general. They won’t accept the US proposals although Hamas hasn’t even seen them. According to Ksenia Svetlova, a lawmaker from the Zionist Union opposition faction in the Knesset, "Any initiative that doesn’t take the Palestinians’ interest into account, is doomed to failure: it takes two to tango." The US is not sharing info on the plan with Moscow, Russian Deputy Foreign Minister and Presidential Envoy for the Middle East and North Africa Mikhail Bogdanov said. However, Arab sources told Kommersant that Moscow knows a lot and is not against another attempt at settling the crisis, and will insist on a dialogue between the Americans and Mahmoud Abbas, who is coming for the FIFA World Cup final in Russia and is due to hold talks with Putin. Israel's Prime Minister Benjamin Netanyahu has been also invited to Moscow. Israeli sources told the paper that the premier’s visit to Russia will take place, but not during the final. The forthcoming Russian-Israeli talks will focus on Syria, but the Palestinian issue is unlikely to be avoided. The first ‘2+2’ dialogue between US and Indian top diplomats and defense chiefs scheduled for July 6 has been postponed. The sides attribute this to technical reasons, but sources in Moscow and New Delhi told Kommersant that this is due to growing pressure from Washington that India give up purchases of Russia’s S-400 missile defense system and Iranian oil. "We regret that the US side has put off the negotiations, several issues have accrued and it’s important to solve them without any delay. This is the threat of introducing sanctions for cooperation with Russia in the military and technical sector and pressure over India’s purchases of Iranian oil. There is no new date for talks," a diplomatic source in New Delhi told the paper. This is the second time the ‘2+2’ meeting has been put off, and in both cases Washington waited until the last moment to initiate the delays, Kommersant writes. US Ambassador to the UN Nikki Haley had earlier warned India of sanctions over its purchases of Iranian oil. The move on postponing the talks also coincided with the decision by the Defense Acquisitions Council (DAC) of India to endorse the deal on supplies of Russian S-400 missile defense systems to New Delhi. Washington still hopes to convince India to cancel the deal. According to a source in New Delhi, it’s important for India to come to terms with the US on the S-400 systems before the next summit between Indian Prime Minister Narendra Modi and Russian President Vladimir Putin due in October. "The talks between Vladimir Putin and Donald Trump will clarify the situation to a large extent and show which way the discussion of the problems that are irritants in relations between the US and India is going," Nandan Unnikrishnan, Vice President and Senior Fellow at the Observer Research Foundation, told the paper. 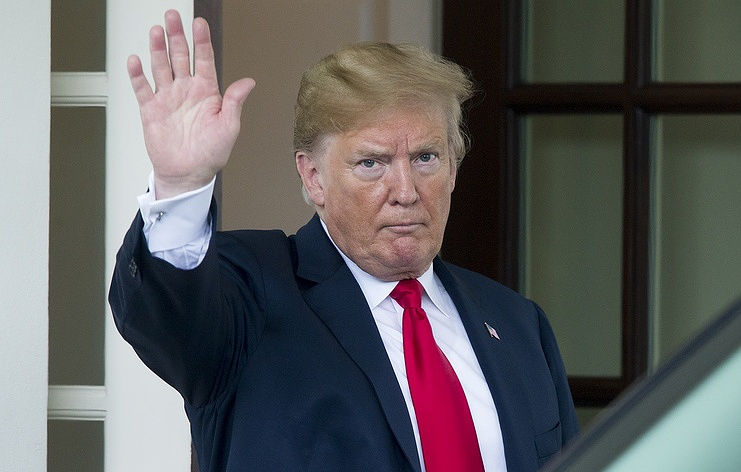 A bill may be submitted for consideration to the United States Congress at the initiative of US President Donald Trump allowing him to impose tariffs bypassing the rules of the World Trade Organization, Nezavisimaya Gazeta writes. This proposed step would mean that America is set to pull out of this international organization. However, experts note that Washington won’t go that far. Explaining the reasons behind the new initiative, White House Deputy Press Secretary Lindsay Walters said the current system doesn’t give Washington any leverage on tariff imbalances, which is not beneficial for America. Similarly, it does not encourage other states to lower tariffs. However, sources in US Congress lambasted the bill as "insane," according to the Axios portal. Professor at the Higher School of Economics Alexey Portansky told the paper this would be "too scandalous." "The US contributed to creating this organization at the Uruguay round of talks. Then the US along with the European Union played a leading role. 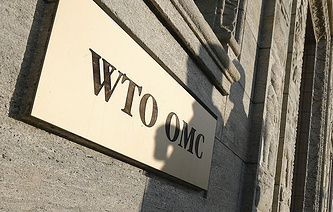 That’s why the US will adjust the WTO rules to its vision of the situation." Washington’s stance on the WTO along with its warning that new tariffs would be imposed soon on Chinese exports have irritated investors. World markets are concerned that a trade dispute between Washington and Beijing will erupt into a global trade war, the paper says. Washington is angered by Turkey’s close ties with Russia and Iran and hopes to convince Ankara that abandoning these long-term partnerships will boost Turkish positions on the international arena, Maxim Suchkov, an expert at the Russian International Affairs Council and head of the Moscow bureau of Al-Monitor, told RBC. At the upcoming summit in Helsinki, Russian President Vladimir Putin and his US counterpart Donald Trump are expected to discuss brokering a deal on Syria. The White House occupant may offer Putin a plan for withdrawing US troops from Syria in return for Russia’s guarantees that pro-Iranian Shia groups will leave the southwestern de-escalation zone adjacent to Israel. Washington insists that Iran and the forces loyal to it should leave Syria. Meanwhile, both Washington and Moscow understand that such bilateral deals may not satisfy other players and won’t relieve the US and Russia from the necessity to continue looking for ways of attaining their goals in the Middle East. This compels Washington to build constructive ties with influential regional states, while its relations with its traditional ally Turkey are challenging, the paper says. The Syrian conflict has been a serious test for these bilateral ties. US rapprochement with Turkey would significantly enhance America’s positions at the upcoming talks and contain the Iranian presence in Syria, limit Russia’s influence on the ground and prevent Assad from defining the future of a post-war Syria alone. Turkey’s control of northern Syria is a useful asset, but the problem is that Ankara is not planning to share it with anyone else, even with its NATO ally, according to the expert. Despite its irritation by Ankara’s double-dealings, the Trump administration is not planning to let Turkey go. Washington believes that the Turkish establishment is more oriented towards cooperation with the US than Russia and that Ankara can get firm security guarantees only under an umbrella provided by NATO, according to Suchkov. Inter-parliamentary dialogue between Russia and the United States needs to be systematic and aimed at achieving goals, Russian Federation Council Foreign Affairs Committee Chairman Konstantin Kosachev told Izvestia. 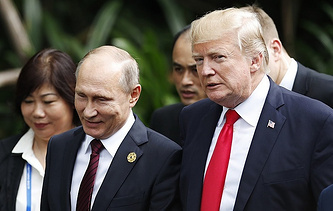 Tuesday’s meeting between Russian and US senators in Moscow may become the first step towards resuming contacts between the two legislative assemblies and creating a constructive environment ahead of the Putin-Trump summit. The politician did not rule out that Russian senators might also visit the US later. "I hope our potential American partners start understanding that it’s impossible to indefinitely solve US domestic political challenges at the expense and detriment of cooperation interests with Russia. In the end, this runs counter to American national interests and global demand for enhancing international security and developing cooperation, which is definitely impossible without Russia," Kosachev told the paper. Kosachev welcomed the US delegation’s visit to Russia saying that it is "late but long-awaited news." "If we see willingness to build dialogue, we will be always ready for it." Moscow and Washington need to discuss many issues at the talks with the US Congress delegation, the first such meeting over the past years, and it’s important that no issues are taboo even if the participants have differences, the senator stressed. "It’s crucial now to feel that there is a commitment to this contact and be ready to make it regular. In turn, this will allow us to have a deeper understanding and possibly, new ideas and agreements on more particular issues - the situation on the Korean Peninsula, around Iran, in the Middle East, in Syria and regarding Ukraine."